New Year Beadwork Sale on Amazon & Etsy! 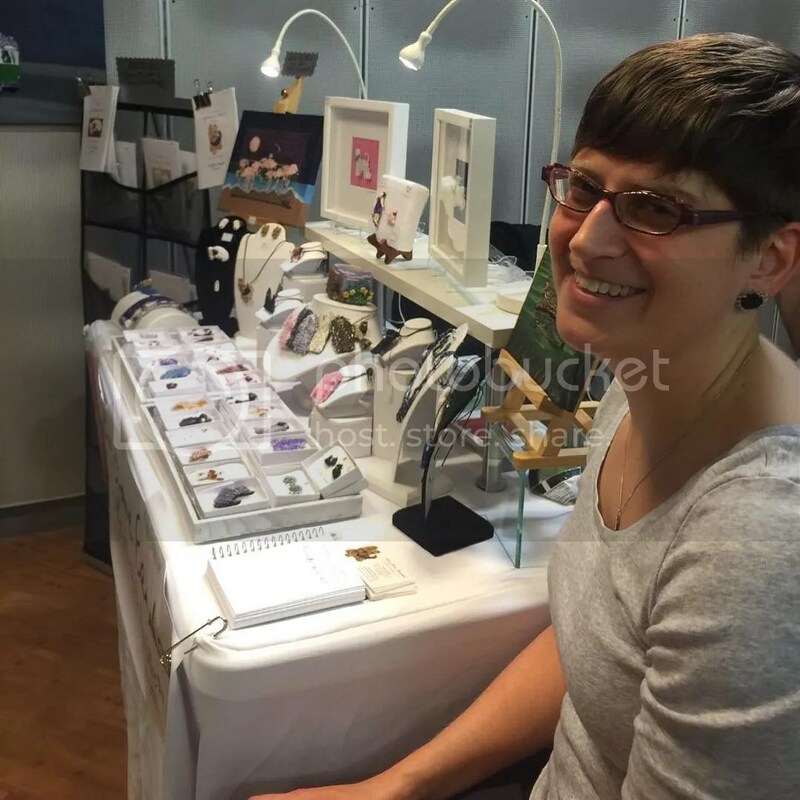 Dear friends, thanks to everyone who took the time to visit me at Etsy Artists of Boston Winter Bazaar over the weekend. I am very grateful to have had the opportunity to share some of my beadwork with you in person. I look forward to the next show! PS. Check out two of my latest custom orders below.. Enjoy! 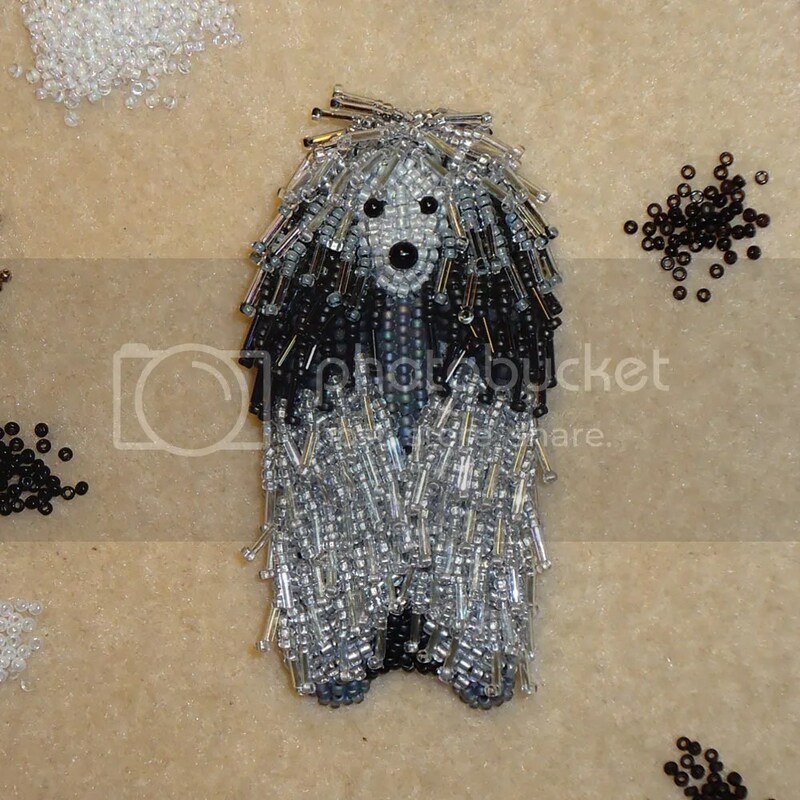 Custom micro-beaded Poodle pin inspired by my ‘Pretty in Poodles’ dog collar necklace. 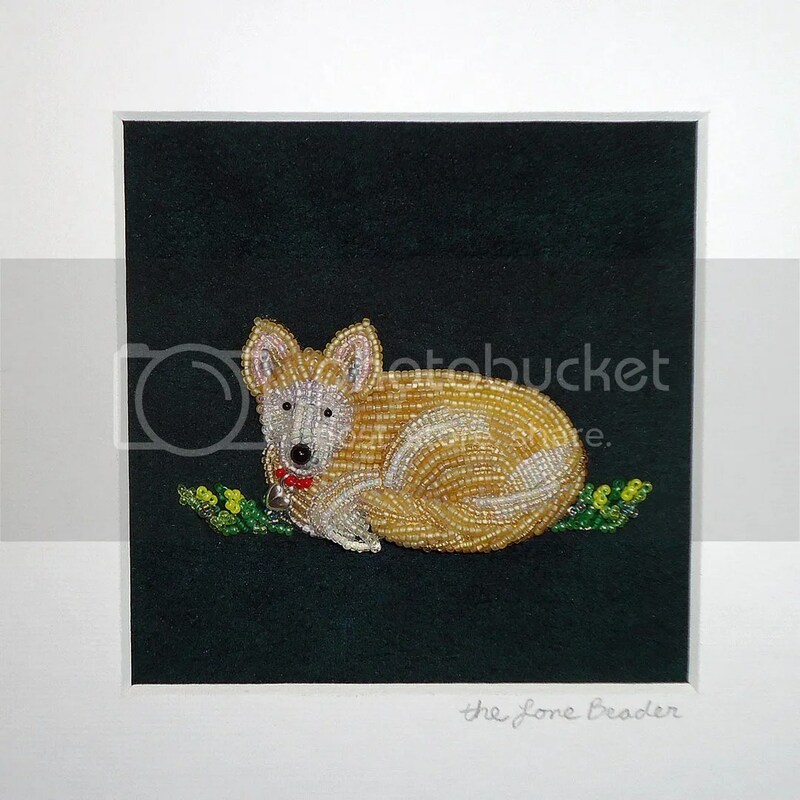 ‘Gracie’, a custom beaded Husky pet portrait in 8×8″ shadowbox frame. Black Friday Weekend Sale on Etsy & Amazon! Happy Thanksgiving! 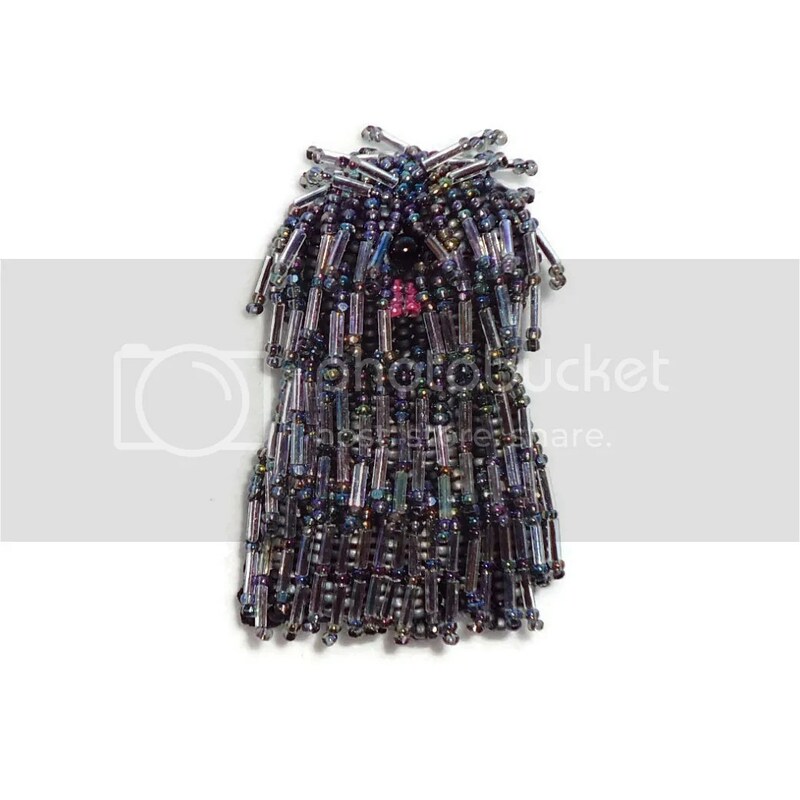 This weekend, I am running a 15%-off Black Friday sale on all ready-to-ship beaded gifts, beading patterns, and kits. Sales runs now through Cyber Monday, November 30, 2015. 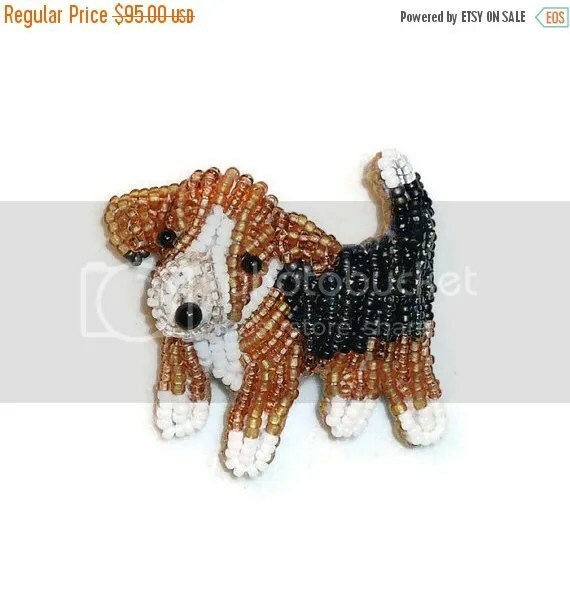 Also, get FREE shipping on the purchase of any two beaded dog pins or earrings on Amazon. No coupon code needed! Please visit my Etsy or Amazon Handmade shop for more details. Just a reminder, there is still time to place a holiday order for a custom beaded dog pin or pet portrait. Please use the Contact form for more details. Thank you for your interest in my beadwork! 15%-off Veteran’s Day Sale! One Day Only! Currently I am offering Free Shipping on the purchase of 2 beaded dog pins, pendants, or earrings now through December 1, 2015 on Amazon. Also, get FREE SHIPPING on any beaded painting or artwork on Amazon for a limited time only. Get a head start on your holiday shopping! Thanks for looking! Explosive 4th of July #Sale on #Etsy! Celebrating 600 sales on Etsy!